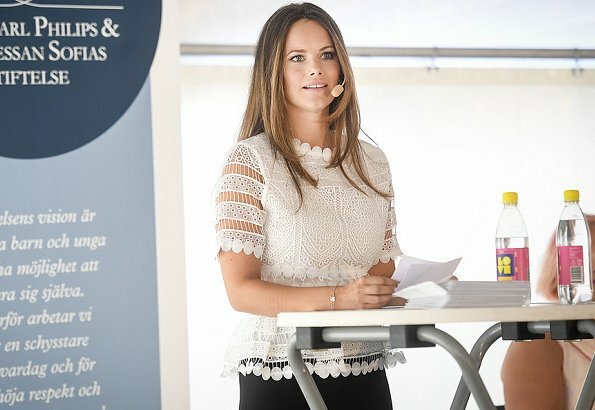 On August 11, 2018, Princess Sofia of Sweden visited LMLGA Festival held in Gärdet. 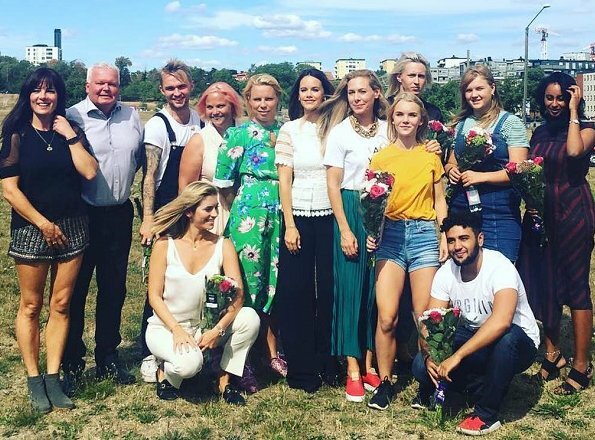 The Prince Carl Philip and Princess Sofia's Foundation and LMLGA organization (Let´s Make Love Great Again) hold a music and entertainment festival in Gärdet, Stockholm on August 11, 12 and all Sweden is invited to the festival. At the festival which will last for two days, many free of charge concerts and conferences will be held. 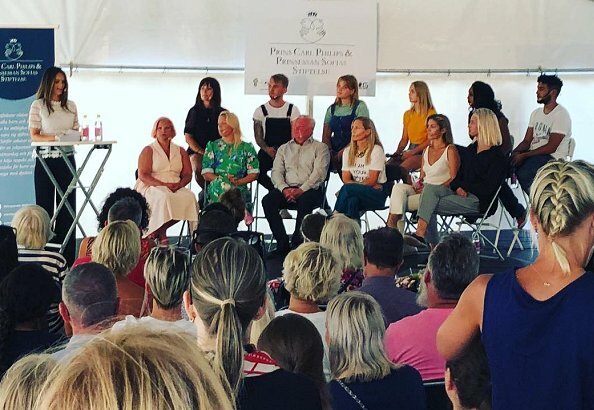 The purpose of the festival is to gather people around the message of love, sincerity and friendship. What a gorgeous top. Her hair is beautiful, but would like to see her with a slight trim on the ends. What a very pretty blouse! It is what you would hope a modern-day princess would look like for such a festival as this is, a celebration of love. She fits right in with her style and hairdo. It would be fun to see her with a braid such as the one in photo #2 on the right. She is quite a girl. She is doing everything right. Well, so are other princesses, but she feels very sincere and committed. 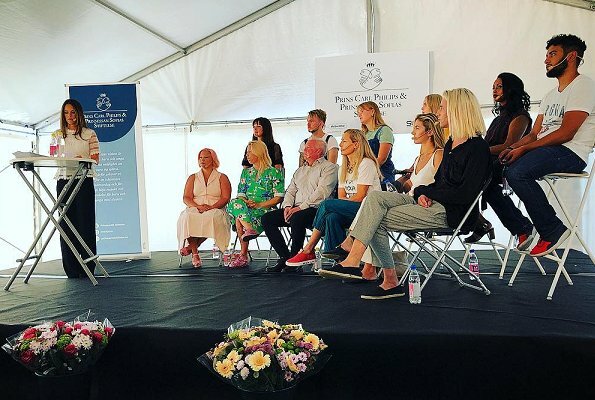 Our prince Carl Philip has been transformed inte himself after she cáme into his life. Princess Sofia looks super nice lately. She has this extra glow that makes her extremely beautiful.